When it comes to marketing tools, product sell sheet design is often overlooked. Yet, it is one of the most effective sales marketing tools at a business’s disposal. Product sell sheets are unique in the fact that they use condensed text and images to convey your company’s goal. There is both an art and a science to product sell sheet design. Specific elements are going to further your company’s goal of generating interest and converting sales, while other negative elements are going to have the opposite of the intended effect. You would be surprised at just how often these negative elements are used. Poor product sell sheet design can actually be harmful to your business. Fortunately for our clients, Webati has the extensive experience that is needed to strike a balance between the art and science of product sell sheet design. Our design services are especially popular among our clients who frequently present their wares and services at trade show events, when they have to have something they can hand to a potential client. It doesn’t matter what the product sell sheet design is for. Whether you need a simple sheet for your company or a sheet for a specific product, we will work closely with you to produce the most effective version for your business’s specific needs. Did you know that many of our clients actually use their product sell sheets within their own company or for when they are presenting to prospective clients? The most common example would be business to business marketers. These sheets can be used to generate interest in a product or service before it even becomes available. 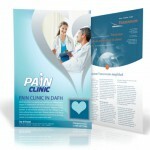 A product sell sheet is quite versatile, and it has many wonderful benefits to offer. Call us today to set up a free consultation to discuss product sell sheets for your business, or go online to visit our online portfolio. We guarantee that you will be amazed at how quickly they can assist your business in growing! Hundreds of satisfied clients have used our product sell sheet design services to their advantage, and we invite you to do the same.